Yggdrasil have started gearing up for the holiday season and revealed their Christmas Calendar plans for operators. The plan has been designed to make use of Yggdrasil’s unique software integration system, BOOST to allow operators to offers special Xmas promotions. The plan is to allow operators to increase their retention over the holiday periods by offering players great promotions and deals. This special offer stands at a total of $500 000 in prizes, Events can pay out up to $10 000 in cash and should certainly catch the attention of players who love rewards. Naturally this BOOST integration goes hand in hand with Yggdrasil’s social media tool, BRAG so that winners can easily share their experiences on social media. Best of all these Yggdrasil exclusive promotions can easily be run on operator networks with no management required. Yggdrasil’s systems are completely automated. This promotion was also run by Yggdrasil last year with great success. In fact it was such a huge hit that the company has doubled the prize pool from last year’s $250 000 pot. This rollout will be across all Yggdrasil supported networks. Italy will receive an additional special promotion which will award $20 000 to Italian players. While not specifically a holiday season promotion, NetEnt have finally released their new Free Round Widget. This is a one of a kind piece of software that will allow casinos and operators to give players free spins. This widget takes the form of a special bonus wheel that players can spin to earn a variety of rewards not just a free spin. It is customizable for operators and runs as part of the NetEnt Engage service. Chief Product Officer for NetEnt, Henrik Fagerlund said that this new app further shows NetEnt’s commitment to their customers and operators. He said that NetEnt will be driving the market forward with this new feature and of course their continued dedication to quality casino games and software also will play a role. The features will be implemented soon by NetEnt at all their affiliated casinos. 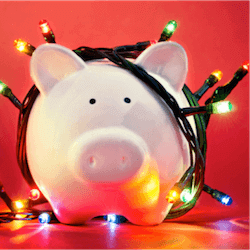 The holiday season is generally a busy time for operators and special promotions and features are often introduced for the first time during December. While Yggdrasil’s promotion is seasonal, the new NetEnt widget could be a future game changer with regards to operator promotions and features. NetEnt continues to stretch the boundaries of player engagement, just like Yggdrasil, and they are setting new industry benchmarks.